Started in 1991, Concern India Foundation (CIF) is a non-profit, public charitable trust that supports development – oriented organisations working for the disadvantaged. CIF believes that the disadvantaged need opportunities not charity and provides financial and non-financial support to development – oriented organisations working at the grassroots level to bring about positive change. CIF supports various initiatives for providing opportunities to the underprivileged to better their lives. For NGO, the most valuable asset is its commitment to a cause. What it often lacks are funds and professional expertise. 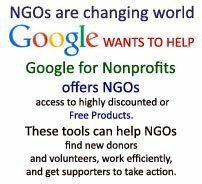 With neither of these, NGOs are severely crippled in carrying on their core activities i.e. providing education, health facilities, vocational training and shelter to the needy. CIF’s primary activity is to provide them essential support. Work towards empowerment of the individual. Work towards conservation of the environment. Has clear objectives and short and long-term development plans. Employs innovative approaches to problem-solving. Has potential for sustain growth and expansion. In addition to providing fund, CIF also provides more practical support including providing communication expertise. Children – All India Activity.